abiogenesis : The emergence of biological molecules and living organisms from a nonliving environment. microorganism : Any life form that is too small to be seen with the naked eye, such as bacteria. primordial : Existing from the very beginning; original. spontaneous generation : An early hypothesis about the origin of life which states that living organisms arose from nonliving substances, such as maggots from meat. The concept of spontaneous generation dates back to the time of the ancient Greeks and was widely accepted in Western culture until Louis Pasteur’s experiments in the mid-19th century disproved the idea. The work of Darwin and Wallace went a long way in answering the question of how species evolved over time. The theory of natural selection provided a mechanism by which complex life forms, including humans, could arise from simpler organisms. But that still left open a more difficult question, namely, what is the origin of life itself? It’s one of the most challenging questions in science, even today when we can say confidently when life appeared on Earth. 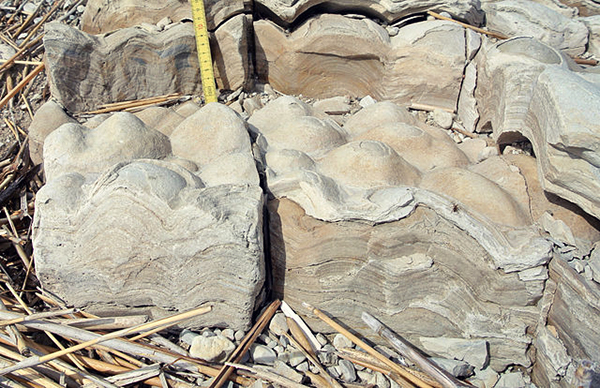 Microscopic fossils called stromatolites and remains of communities of microorganisms called microbial mats suggest that Earth harbored microorganisms 3.5 billion years ago (Figure 1). Also, the presence of particular carbon isotopes in certain metamorphic rocks in Greenland tell scientists that some kind of life may have been present as much as 3.8 billion years ago. This means that 700 million to one billion years after Earth had formed, life was here. It makes sense, because it corresponds to the time when the planet had reached a cool enough temperature for any life to survive. But honing in on the time when life appeared on this planet still does not tell us how life came to exist. Since prehistoric times, people sought mostly spiritual answers to this question. Around campfires during the Stone Age, each budding culture told and retold tales of how the gods created life from some kind of nonliving material, be it mud, clay, rock, or straw. The details of the ancient creation stories changed noticeably over time, but religion was still the mode of thinking by Darwin’s era when it came to the initiation of life itself. Darwin did consider the origin of life and speculated that it had occurred in a warm pond. He suggested that phosphoric salts and ammonia in the pre-biotic pond somehow had been changed chemically by heat, light, and electricity, leading to the synthesis of the organic compounds needed to produce the first living cells. Darwin was not a chemist and this was a very cursory speculation about Earth’s pre-biotic chemistry. It contrasted sharply with the detail and systematic approach of Darwin’s own theory of natural selection. Even so, the pond idea was a start. Despite living in a society that almost universally assumed Earth had an intelligent creator, scientists in Darwin’s time were already comfortable with and accustomed to considering the possibility of life getting started without intervention from the gods. The idea was called spontaneous generation and, while it was already very well established by Darwin’s time, it dates all the way back to the time of the ancient Greeks. About 2,600 years ago, in the Ionian city of Miletus (Figure 2), the natural philosopher Anaximander (c. 610–546 BCE) pondered how human babies were born utterly helpless. Without their parents, young humans had no chance to survive and the state of helplessness continued for years. That reality made for a dilemma when considering the first generation of humans, which, Anaximander assumed, must have begun as infants. To grow up and have their own babies, human ancestors in the very distant past must have been more independent as newborns, Anaximander reasoned. They must have been more like certain other animals whose young are born ready to survive on their own. 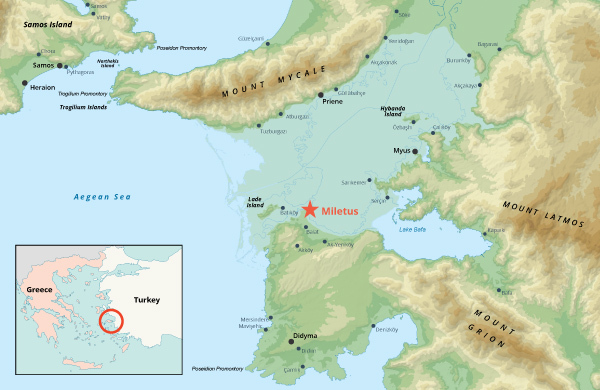 Figure 2: Location of Miletus on the western coast of Anatolia, what is now part of modern Turkey. Miletus was the home of three ancient philosophers: Thales, Anaximander, and Anaximenes. Considering the various animals, Anaximander decided the ancestors of humans had to be fish. Unlike mammals, which needed their mothers to get started in life, fish simply emerge from their eggs and either die or survive. This means that distant human ancestors could survive as infants if they were more like fish than like humans. Even in Anaximander’s time, people saw skeletons from long-dead creatures. Fossils of extinct life were found long before paleontologists went looking for them. Ancient Greeks lived by the sea, and often the sea washed up skeletons or eroded the ground to expose buried bones. Living in this environment, Anaximander had a general idea of skeletal anatomy and how it was similar and different between humans and other animals. Because of this, he decided that the transition from fish to humans must have been gradual. In other words, humans descended from fish through an evolutionary process. Since Anaximander proposed no idea of how the apparent evolution from fish to human had taken place, it was not an early form of Darwin’s theory of natural selection. But it was the beginning of thinking that life on Earth began with small organisms. Anaximander’s idea quickly led to the idea that small organisms were generated through a natural process from nonliving matter, such as the mud at the bottom of the sea. Over the next centuries, Greek thinkers such as Anaximenes (588–524 BCE), Xenophanes (576–480), Empedocles (495–435), Democritus (460–370), and finally Aristotle (384–322) developed and modified the spontaneous generation idea so that it corresponded to what people often observed on land. Farmers leaving grain in an open container noticed that pretty soon mice appeared, as if the grain generated the mice. People leaving meat untended returned to find maggots infesting the meat, as if the meat generated the maggots. What observation prompted Anaximander to propose that humans came from fish? a.Fish are independent from the time they hatch. b.b)	There are many physical similarities between humans and fish. By the 18th and 19th century, the older Greek idea of spontaneous generation was well ingrained in the minds of everyone who ventured to think that the origin of life might not have required the gods. And living at a time when science was coming to age, some early modern thinkers started treating spontaneous generation less like a philosophy and more like a scientific hypothesis. Gradually, they began subjecting the idea to scientific experimentation. An early attempt at testing spontaneous generation occurred in the 17th century, when the Italian scientist Francesco Redi (c. 1626–1697) looked carefully at the meat-maggot phenomenon. After leaving meat in an open jar, he observed that maggots did indeed appear, and that the maggots then developed into flies, which then flew away. However, when he left meat in a sealed jar, the maggots did not appear. Nor did maggots appear when he left the meat in a jar covered with a mesh screen, a precaution he took just in case spontaneous generation required fresh air for some reason. In the terminology of today’s science, we say that the mesh-covered jar “controlled for” the possibility that spontaneous generation required fresh air (Figure 3). Figure 3: Francesco Redi's spontaneous generation experiment using jars of meat. In the first jar, with the meat sealed inside by a stopper, maggots did not appear on the meat; in the second jar, covered with mesh, maggots also did not appear on the meat; but in the third jar, without a cover, maggots did appear on the meat and developed into flies. Since the mesh cover prevented the appearance of maggots, it meant that the maggots were not coming from spontaneous generation, but simply from eggs of adult flies. By the standards of experimental methods in contemporary science, it was a rudimentary experiment, but it was as good as it could be given the equipment available in Redi’s time. Despite the result of his maggot experiment, Redi still believed that smaller creatures, called “gall insects” came from spontaneous generation. At the same time, a developing invention, the microscope, allowed scientists to focus on creatures even smaller: microorganisms. Using his microscope, an English experimenter, John Needham, noticed that broths made from meat were teeming with microorganisms, so he put spontaneous generation to his own test (see our module Experimentation in Scientific Research). Needham heated a bottle of broth to kill any microorganisms, and left the bottle for a few days. Then, he looked at the broth under the microscope and found that, despite the earlier heating, the broth contained microorganisms again (Figure 4a). Figure 4a: Needham's spontaneous generation experiment. Needham heated the broth, let it sit uncovered for several days, then observed microorganisms in the fluid. In Needham’s mind, this finding suggested that the lifeless broth had given rise to life. But another scientist, an Italian named Lazzaro Spallanzani, thought that Needham must have done something wrong. Perhaps, he hadn’t heated the broth to a high enough temperature or for a long enough time. To find out, Spallanzani performed his own experiment. He boiled broth in two bottles, left one bottle open and one closed, and found that new microorganisms appeared only in the open bottle. His conclusion: the microorganisms entered the bottle through the air; they were not generated spontaneously in the broth (Figure 4b). Figure 4b: Spallanzani performed Needham's experiment, but also tested a bottle of broth that was closed after boiling. He found no microorganisms grew in the closed bottle. Experiments seeming to prove or disprove spontaneous generation of life went on for another century. Because of the difference between closed and open vessels, arguments focused on the possibility that spontaneous generation of life might require fresh air. Thus, lack of air in Spallanzani’s closed bottle could have been a factor confusing the results. This possibility attracted the attention of the 19th century’s most famous microbiologist: Darwin’s contemporary, Louis Pasteur. The sterilized broths in Pasteur’s special flasks did not become infested with microorganisms despite being exposed to fresh air (Figure 5). And so, after a run of more than 24 centuries, the hypothesis of spontaneous generation was finally laid to rest. Figure 5: Pasteur designed flasks with long, swan-like necks that allowed the sterilized broth to interact with fresh air, but trapped microorganisms in the flask's curved neck. This meant that scientists no longer thought that microorganisms, or small animals, could suddenly emerge with no parents, but it didn’t stop people from thinking about life coming from nonliving matter. Pasteur’s publication of his experimental results disproving spontaneous generation of microorganisms came in the very same year as Darwin’s Origin of Species. This made for paradox. Around the world, scientists were fairly certain that evolution really happened, that all modern species came ultimately from pre-existing, living forms. However, as for the question of how life started in the first place, scientists had just disproved the only explanation they had. Darwin’s pond idea was completely speculative. There was no way to test it the way he tested natural selection through years of observation of numerous species. And so, when it came to the initiation of life itself, scientists of Darwin’s era were stumped. All they could do was to throw up their hands, or chalk it up to the creation stories of their religions. a.appeared to spontaneously form in a closed bottle of broth. b.entered the broth from the air outside of the bottle. In addition to spontaneous generation, the ancient Greeks produced another idea for the origin of life on Earth: panspermia. An Ionian Greek named Anaxagoras (510–428 BCE) thought that life arrived on Earth as seedlings that came through space from other worlds. Often people think of panspermia as an alternative to the idea of life emerging from nonliving matter, but it’s actually not. Instead, panspermia only moves the origin of life off the Earth to another planet or moon, and further back in time. Thus, after Pasteur’s disproval of spontaneous generation, the motivation was stronger than ever to determine how life got started. By the late 19th century, English biologist Thomas Henry Huxley (1825–1895) coined the term abiogenesis to describe life forms emerging from non-living chemical systems. On first hearing the term, it may sound as if abiogenesis is merely a more modern take on spontaneous generation, but there is a major difference. With spontaneous generation, the idea was that certain materials, be it meat, grain, or mud, were capable of constantly producing some kind of creature. What Huxley had in mind was the chemical reactions of life slowly emerging on the early Earth over a long period of time. Huxley knew that the mixture would have to be more complex than Darwin’s ammonia and phosphoric salts, but he did not attempt to work out the details. Somehow, though, he thought an optimal mixture of simple chemicals generated the complex chemicals needed for life, such as enzymes, and the earliest living cells. Abiogenesis is just another name for spontaneous generation. As for how abiogenesis could occur on the primordial Earth, serious thinking about this began in the 1920s with two scientists working entirely independently of one another. In 1922, Aleksandr Oparin, a Russian biochemist, gave a lecture on the origins of life, which was published as a booklet in 1924. For several years, the booklet was not translated from Oparin’s native Russian, so his ideas were unknown outside of the USSR. Meanwhile, British biochemist John Burdon Sanderson Haldane (usually known by his initials JBS Haldane) was working on similar ideas. Unlike his Russian counterpart, Haldane and his work were extremely visible. He was a great popularizer of science, doing for the early 20th century what astronomer Carl Sagan did later, making science understandable and fascinating for the masses. Haldane’s hands were in numerous areas of life science. He was the author of dozens of scientific papers and spent a great deal of time explaining his work and its importance to people outside the scientific world. In connection with other questions of biology, Haldane was working with enzymes, which he thought were on the border between living and nonliving chemistry. Consequently, he hypothesized that abiogenesis took place through a complex mechanism involving enzymes and viruses. By Haldane’s time, scientists figured out that the atmosphere of the primordial Earth had been a reduced atmosphere. This means that it contained reduced carbon chemical compounds, such as methane, in contrast to oxidized chemical compounds, such as carbon dioxide (which could be present, but in much lower quantities compared with methane). It also contained hydrogen, ammonia, some water vapor, and, importantly, no oxygen. Oxygen can come only from organisms that carry out photosynthesis to make their own food. Such organisms are called autotrophs. Haldane reasoned that the first cells must have been heterotrophs, organisms that take their food from the surrounding environment. Methane is a gas, but other simple, organic compounds made from it are liquid and would have rained down on the early Earth. They accumulated as pools of liquid on the surface, forming a kind of organic broth that became known as “Haldane’s soup” (Figure 6). Because there was no oxygen in the atmosphere, the early Earth lacked a layer of ozone to block out powerful ultraviolet radiation from space. Haldane hypothesized that the ultraviolet radiation from space, along with lightning constantly hitting the primordial organic soup, delivered energy to the various simple organic compounds. This caused chemical bonds between the atoms of the molecules to break and reform, creating new and different molecules, leading to extremely large, complex organic molecules. Haldane speculated that this happened over millions of years, until finally a molecule arose that could copy itself crudely using other molecules in the “soup” as building blocks. Molecules that could copy better than their neighbors multiplied and gradually dominated the soup. Some of these self-copying molecules became surrounded by a kind of barrier, the precursor to what we call a membrane. This happened by accident, so it was very rare, but when it did happen, Haldane explained, the enclosed, self-copying molecules had an enormous survival advantage. So they came to dominate, ate up the soup, and life had begun. Haldane’s idea was purely hypothetical. No one tested it yet, but it was far more elaborate than Darwin’s phosphoric salt idea. Moreover, it was perfectly consistent with the state of science in the 1920s and 30s regarding the chemistry of the early Earth. Then, in 1936, Oparin’s work was finally translated from Russian. It turned out that he was proposing almost the same thing as Haldane, so the idea became known as the Oparin-Haldane hypothesis. Primordial Earth lacked an ozone layer because there was no ________ in the atmosphere. As for testing the Oparin-Haldane hypothesis, that role fell into the hands of a graduate student, Stanley Miller. In the early 1950s, Miller was looking for a thesis project in the Department of Chemistry at the University of Chicago. In 1952, his academic mentor, Professor and Nobel laureate Harold Urey, suggested that he try putting the origins of living molecules to a test. That meant recreating the kind of atmosphere that scientists thought had existed on primordial Earth: hydrogen, methane, ammonia, and water. It also meant providing what Haldane thought set the stage for creating more complicated molecules needed for life: lightning and ultraviolet light. Once the ancient atmosphere was created and contained in a flask, Miller and Urey exposed the mixture to powerful ultraviolet light. They also put electrodes inside the flask and sent an electric current through the apparatus, creating sparks to simulate lightning, which interacted with the gases in the flask. After several days, they checked the contents of the liquid that accumulated at the bottom of the apparatus (Figure 7). They found that different molecules had been created, including various important biological molecules, such as the amino acids glycine, alanine, and valine. They ran the experiment over and over and, depending on how they changed around the gas mixture, different varieties of amino acids and other biological molecules were created. This showed that it was possible for biologically important molecules to form on a planet under abiotic conditions. Figure 7: Miller and Urey's experiment to test the Oparin-Haldane hypothesis by recreating early Earth's atmosphere and adding ultraviolet light and electric currents. Over the years, as Miller progressed through his career, scientists studying planetary atmospheres and the ancient Earth had second thoughts about Earth’s primordial atmosphere. Perhaps it had not been dominated by methane, hydrogen, and ammonia, and possibly it could have been more oxidized as opposed to reduced. But as theories about the ancient atmosphere were refined, Miller tried variations of his original experiment with the adjusted gas mixtures. Although chemical products changed with each new mixture, in each case they included compounds that were vital to life, such as amino acids, or nitrogenous bases, the building blocks needed to make DNA and RNA. The emerging answer seemed to be that, almost regardless what the precise mixture and conditions were, complex organic molecules would result. What formed when electric sparks were created in a flask of hydrogen, methane, ammonia, and water? While ideas about Earth’s primordial atmosphere were in flux from the 1970s onward, NASA’s exploration of the outer Solar System revealed some amazing things about the moons orbiting Jupiter and Saturn. In particular, the space probes Voyager 1, Voyager 2, and Cassini and an atmospheric entry probe to Saturn’s moon Titan called the Huygens probe revealed the exact makeup of Titan’s atmosphere. This inspired other scientists, such as Carl Sagan, to redo Miller’s 1952 experiment with a Titan atmospheric mixture. This too produced important biological compounds. Thus, today, the moon Titan is a prime focus for astrobiology studies in the Solar System. It may have exotic life forms, or it may be a model of how Earth was prior to life. Several years after the original Miller-Urey experiment, another investigator, Sidney Fox, ran experiments showing that some of the Miller-Urey compounds – the amino acids – could join together to form polymers, bigger molecules known as peptides, or small proteins. This happened when amino acids made through a Miller-Urey mechanism were splashed onto surfaces of clays and other materials, under hot, dry conditions. On the ancient Earth, such conditions would have occurred at the boundary between ancient ponds or seas and ancient land. Given enough time, complex proteins could arise. Other researchers later found that spheres of lipids (the class of organic molecules that includes fats) also could form under conditions thought to exist on the ancient Earth. This would create a water environment inside the sphere that was separated from the outside. In other words, crude membranes can form spontaneously under the same conditions in which biological compounds like amino acids and small proteins can form. The fact that membranes can form spontaneously is key to origins of life research. This is because to move from non-living chemistry to biology, very complex networks of chemical reactions need to emerge. Like a car being made on an assembly line, biological molecules are put together section by section. They also are converted into different molecules section by section, so there is a series of intermediate chemicals in addition to a starting molecule (called a substrate) and final product of each reaction. In an open environment like Haldane’s primordial soup, or in an ocean, the various intermediates would simply diffuse away before the chemical pathway had a chance to evolve. But a membrane would enclose all of the chemicals within a compartment. That compartment would then act as a chemical laboratory, holding inside any reactions that happened to emerge. Since we know that membrane spheres can spontaneously form, the primordial soup of early Earth must have had billions of these little chemical laboratories in which the chemistry of life was sputtering along. Why are membranes so important in origins of life research? a.Without membranes, amino acids cannot form. b.Membranes enclose chemicals so reactions can take place. Demonstration that biological molecules and membranes can arise in an abiotic environment is not a demonstration of the emergence of life. It shows only what might have happened in the transition from non-living chemistry to the eventual formation of life. It does, however, show that a necessary step in abiogenesis – the spontaneous emergence of complex organic molecules – is not only possible, but likely under the right conditions. Theoretically, continuous rearrangement and construction of larger and larger organic molecules from chemical building blocks that would form on the early Earth should eventually lead to molecules that can copy themselves. That’s because the bigger an organic molecule gets, the more functional chemical groups it has. Functional groups are sections of molecules with atoms other than carbon, such as oxygen, nitrogen, and phosphorus, which like to hold onto electrons. This allows for electrons to be moved around between parts of the molecule and between the molecule and other molecules. Also, the bigger a molecule gets, the more it’s able to bend and twist around. This capability, together with the capability to move around a lot of electrons, &^means it’s possible, simply by luck, for any random, very large organic molecule with a lot of nitrogen, oxygen, and phosphorus atoms to have some enzymatic capability –that is, to be able to catalyze chemical reactions. Certain sets of reactions catalyzed by a molecule can result in the molecule making a copy of itself. Thus, with plenty of building materials in a Haldane soup, as time goes on, it is likely that self-replicating molecules would emerge. The first self-replicating molecule would have only crude copying ability. But, since it would not copy itself exactly, each new “copy” would be a little different than the “parent” molecule. Randomly, a newly copied molecule might have the ability to copy slightly better than the molecule that made it. Natural selection would then work for non-living chemical molecules similar to how Darwin described it working for living organisms. Those molecules copying better would make more copies using building blocks taken from the breakdown of other molecules that could not copy themselves so well. Self-copying molecules enclosed in membranes would fare even better because they would be held close together with other chemicals. But for life to really begin, there has to have been a molecule whose copying ability was extremely good. Today, there is such a molecule: DNA. However, DNA is incredibly complex and this makes for a chicken and egg kind of dilemma. In the 1980s, scientists began to realize that not all enzymes are proteins. Scientists dissected some cell components called ribosomes and found that they are made of protein and RNA. What was strange was that some of the RNA molecules actually work as enzymes. They can catalyze chemical changes in themselves and in other RNA molecules. Like DNA, RNA can hold genetic information, but RNA is less complex than DNA (Figure 8). Consequently, a hypothesis called the “RNA world” was proposed independently by three different researchers: Leslie Orgel, Francis Crick, and Carl Woese. It’s a keystone in origins of life research today. The idea is that RNA emerged on Earth prior to DNA and was the genetic material in the first cells (or in the first cells on a different world, if life began somewhere else). Figure 8: A comparison of Ribonucleic acid (RNA) and Deoxyribonucleic acid (DNA). Today, no known bacterial cell or other fully-fledged life form uses RNA the way that we use DNA, as the storage molecule for genetic information. But there are RNA viruses. Not all viruses are RNA viruses; some use DNA to hold genetic instructions, just as our cells do. But if RNA is adequate as the only genetic material in some viruses, it’s easy to imagine RNA also being the only genetic material in an early bacterium, or other singled-celled creature that could have existed on the early Earth. It’s not hard to image how the transition from RNA to DNA might have occurred. As with the evolution of everything else, there would have been mistakes. In living organisms today, DNA stores genetic information over the long term and DNA sequences are transcribed into RNA sequences, which then are used to put together sequences of amino acids into proteins (see our Gene Expression: An overview module). Essentially, DNA is an additional layer beyond RNA and the proteins that RNA makes. RNA sequences could have been the genes before a mistake created DNA. Being more stable chemically than RNA, DNA took over the job of storing genetic information. This gave RNA a chance to get better at translating genetic information into proteins. That would have been an enormous step in life’s evolution. It also would mean that life was not here all at once. Rather, abiogenesis occurred in increments or steps during prebiotic, chemical evolution. Thus, entities must have existed along a spectrum from nonliving to living, just as viruses today have characteristics of both living and nonliving entities. We don’t know the precise abiogenesis pathway, but scientists have worked out each of the major steps necessary to go from nonliving chemistry to self-sustaining cells. Importantly, scientists also have conducted laboratory experiments demonstrating that each step is possible. Unlike the days of Anaximander, Darwin, or even Haldane, there are no big holes or theoretical barriers to abiogenesis. Scientists have a good idea of how it probably happened. Still, in terms of the details within each major step, that is where science is now focused on getting some answers. David Warmflash, MD, Nathan H Lents, Ph.D. “Origins of Life I” Visionlearning Vol. BIO-4 (6), 2016.